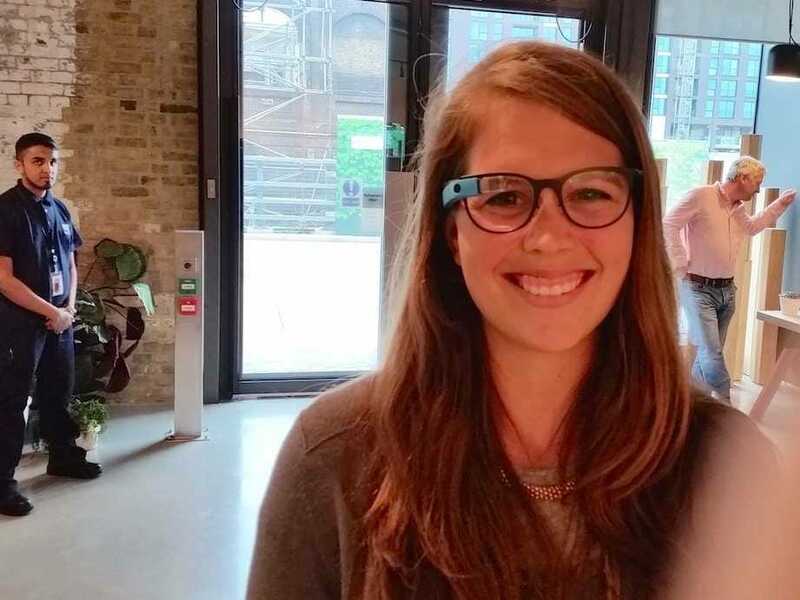 Jim EdwardsGoogle is shuttering its Google Glass retail stores, like this one in London. Good morning. Get your week off to a flying start by getting up to date with all the important advertising stories. 2. Google has revealed how it plans to use the new huge Times Square billboard as it becomes the mega screen’s inaugural advertiser today. Passers-by will be able to use an app to create their own mini Android characters to play with on the screen. 3. Apple finally confirmed late last week that its iAd advertising platform is venturing into programmatic for the first time, via a post on its news site. Business Insider had broken the news that Rubicon Project was to be one of iAd’s automated partners last week. 4. Snapchat has rolled out a second new ad format, AdAge reports. Samsung became the first to sponsor an “Our Story” feed, which works a bit like Twitter hashtags around events, during the American Music Awards on Sunday. 6. Apple is to donate a portion of sales at its retail and online stores on two of the biggest shopping days of the year as part of a campaign for World AIDS Day. Apple has partnered with AIDS charity (Red) for its fundraising effort on Black Friday and Cyber Monday next month. The campaign will also see the launch of a special section of the App Store, called Apps for (Red), which will offer 25 apps and exclusive content. 7. The European parliament wants Google to unbundle its search engine from other products. The European parliament doesn’t have the power to split up Google but such a motion could put political pressure on the EU to double-down on its four-year-long antitrust investigation into the search giant. 8. Beer brewer Heineken has been named the Cannes Lions “Creative Marketer of the Year” for the second year running, AdNews reports. The award recognises the brand’s “Legends” campaign, which inspires drinkers to be “travellers, not tourists.” The trophy will be presented at the Cannes Lions International Festival of Creativity, which takes place in June next year. 9. The British Medical Association has called on the UK’s advertising watchdog to ban the first TV ad featuring someone “vaping” an electronic cigarette, Campaign reports. The medical association says the ad, for e-cig brand VIP, breaks the ad rules because it appeals to non-smokers. 10. Google is closing all its Google Glass stores, according to a 9to5Google. Google says it is no longer accepting scheduled appointments to said Glass support hubs because most Glass sales are now happening online or over the phone.